Dental Anxiety is the kryptonite to many a healthy smile. Studies commonly find that around 60% of people suffer from some form of dental anxiety, otherwise known as odontophobia. This can mean anything from feeling a worry about what may happen behind surgery doors to a full blown fear that leaves the patient paralysed at the tiniest thought of being near a dental surgery. Dental anxiety is a very real thing. If you are suffering then it is important to understand that you are certainly not alone. So How Can We Help Those With Dental Phobia? Our team at Bamboo Dental in Cardiff sat down with several sufferers of dental phobia and discussed the methods and practices that they use to keep calm and to get through their dental appointment with as little stress as possible. A wide range of ideas to calm yourself down were shared amongst the group and we have collated them here. They may just be able to help you too! 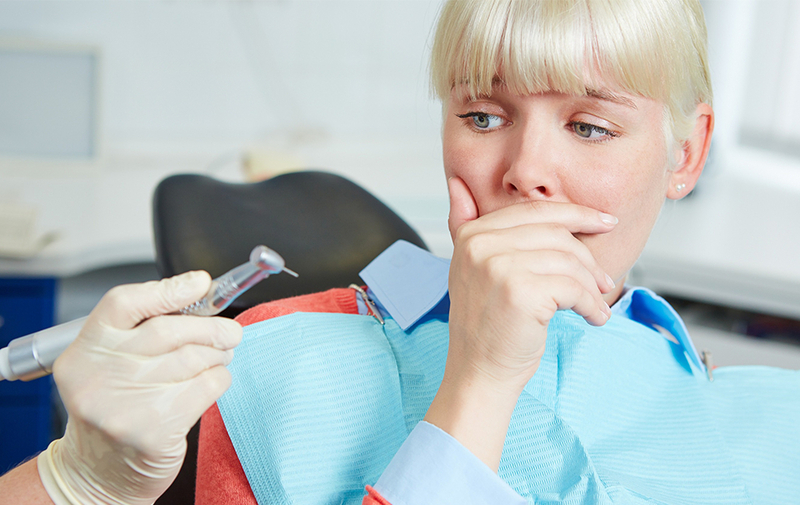 We recently shared an article in which we discussed the best way to deal with dental anxiety. This involved choosing the upwards spiral in the way you take action against this crippling fear. This concept covers a difficult decision that anyone with a fear of the dentist will have to make. At this decision point you either tackle the issue head on or you avoid it and put off your phobia until a later date. The downwards spiral comes into action the second you choose not to visit the dentist. Those initial dental problems that caused you some discomfort will eventually grow into critical problems that may not only be a lot more painful and require a lot more work done at the dentist but you could also end up with long lasting damage to your smile. Don't let it get to this point. Now you've realised that the only way to overcome this phobia is to face it head on and get yourself down to the dental clinic there are a few things you can do to make it easier for yourself. Here's our top tips on fear reducing tactics you can use to help on your next dental visit. One very common concept is to distract yourself by listening to your favourite tunes. You can do this both in the waiting room and in the dental chair in many surgeries whilst receiving treatment. It is often in the waiting room that anticipation starts to build so that's a great time to pop in your ear phones and take your mind off to a calmer place. 2. 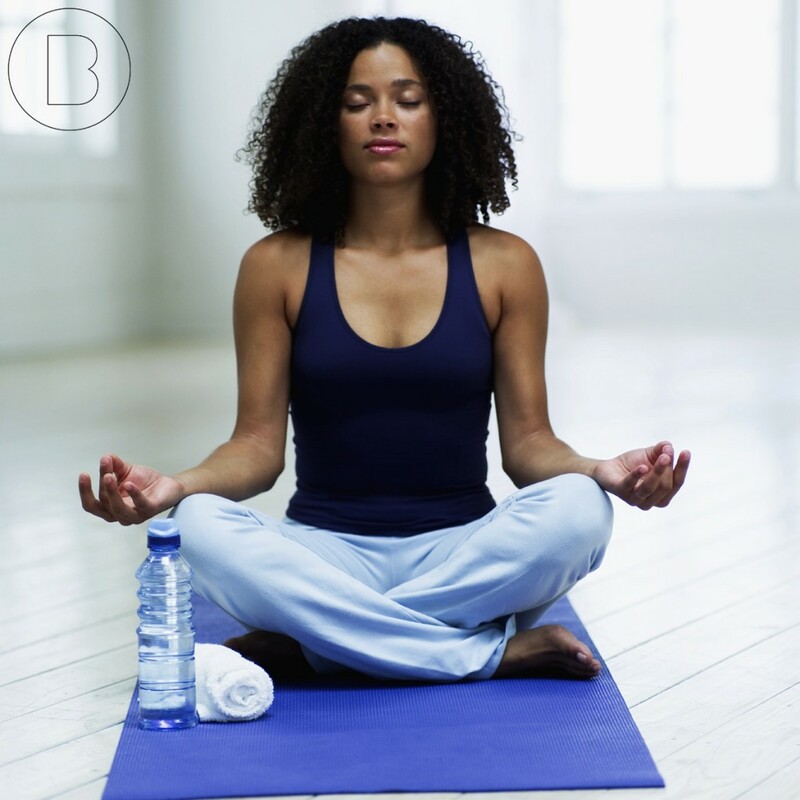 Meditation Could Calm Your Dental Phobia! Meditation is used by so many nowadays. It is a practice that can help you in various areas of your life but most importantly in quieting the racing thoughts of your mind and dissolving that anxious mindset into one of calmness and freedom. Practicing meditation for just 10 minutes a day has been scientifically proven to actually change the composition of the brain. You will be more ready to deal with any worries and stay calm in times of fear. 3. What About When You Are in the Surgery? 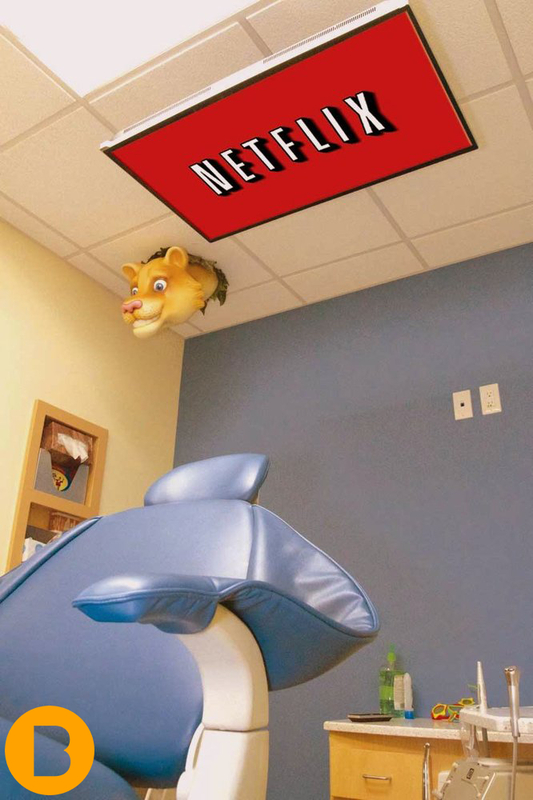 Some dentists install televisions onto the ceiling of the surgery like shown here. They are used primarily to give the patient something to take their minds away from the dental procedure taking place whilst they are actually in the dental chair. Perhaps the most effective way to get through your dental phobia is to sit down and talk about it with your dentist. 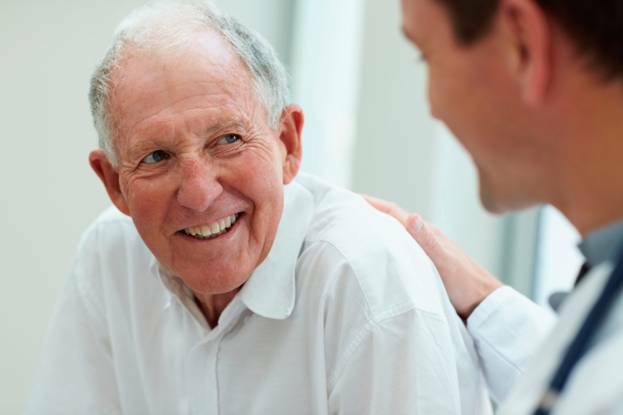 He has seen many patients with similar fears and so is in the bet position to help you through it. Having him or her understand exactly what is troubling you will give them the best knowledge to make things as smooth as possible for you in your visit to the dental clinic. Your senses are critical to how you get through your dental anxiety. In order to take a spiritual stance on dental fear you should focus everything on the environment. First take your mind and put your thoughts onto the environment you are in rather than the situation. Now as you sit in the chair start to feel the firmness of it, feel your weight on the chair itself and the air touching your skin. Listen to all of the sounds around you or the absence of sound itself. Before long you'll realise that concentrating on these external factors will take you into a trance like state that moves your thoughts entirely away from the dental procedure itself! When feeling immense stress there needs to be a way for you to release it. 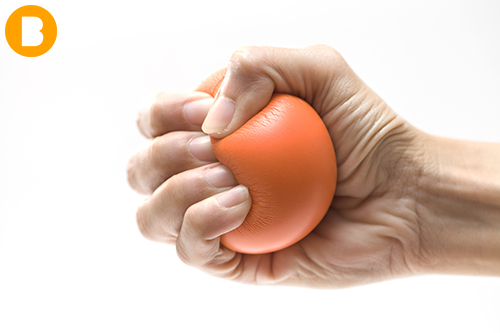 Imagine taking the force of anxiety you feel during your dental treatment and pushing it all out through one tight squeeze of that stress ball. Although a very simple tool, don't overlook this as it has been a tried and tested method for many odontophobia sufferers.